Bogdan Denitch who died in Split, Croatia on March 28, was a life long democratic socialist, who founded Democratic Socialists of America with his colleague Michael Harrington and represented it on the Socialist International where he had an influence that far outweighed the influence of the DSA in the US. 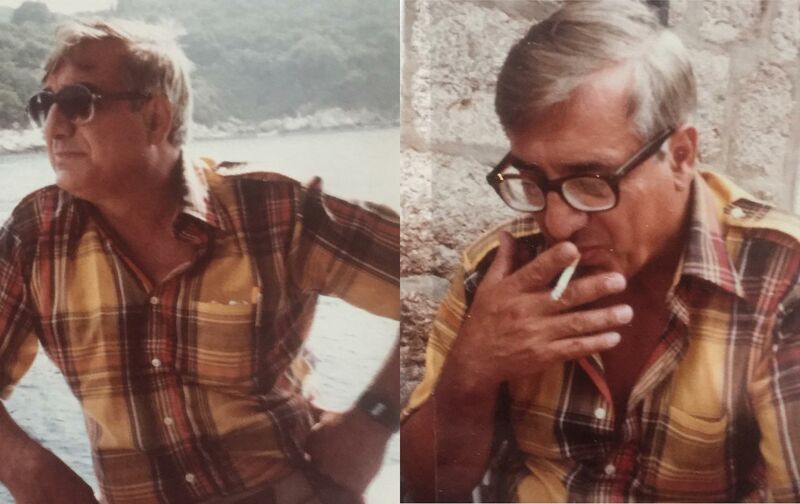 A Serb from Kosovo, he was born in 1929 as Bogdan Denis Denić, in Sofia, Bulgaria, where his father was the Yugoslav ambassador. When WWII broke out, his father was Ambassador to Egypt and he went to Victoria College, an English style public school there, and that was enough to get him a British commission as subaltern at the age of 15 in a Yugoslav unit attached to the ANZAC brigade in the British Eighth Army. Wounded in Italy, he later served with the British occupying forces in Vienna. His encounters with the Red Army there helped make him skeptical of Soviet socialism. On demobilization, the British offered him promotion if he went to fight insurgents in Malaya, or a job in the coal mines in the UK, neither of which he found attractive career options. However, he was also entitled to a first class passage to anywhere in the British empire. He chose Canada, and moved thence illegally into the US, where he became the original college dropout, a socialist party member and pretty much full-time agitator, as well as a skilled machinist union member and organizer. He was a prominent member, with Michael Harrington of the Young Peoples Socialist League, which was expelled by the Socialist Party and the two later teamed with Max Schachtman to found the Young Socialist League, a tiny group which made a noise disproportionate to its membership, not least by having Harrington and Denitch write articles under a wide variety of pseudonyms. Bogdan recalled that when his immigration status was finally legalized the judge indulgently read all those names into the record. As an activist, he worked with CORE on the Freedom rides to the South. Typically robust in his life and politics, he told of smuggling weaponry to the Deacons, a more militant group that vowed to physically defend Freedom Riders. Over drinks, he would regale friends with an account of beating a local sheriff at poker while he was in the jailhouse, and having the winnings mailed to him once he back in New York City. A founder of the Democratic Socialists of America in 1982, he later became its representative on the Socialist International, where he moved with heads of state across the world, their source on Balkan matters and influential in allowing more radical Latin American parties to join despite opposition from more establishment factions like the Mexican PRI. Awarded a PhD by Columbia, he became a tenured professor and authored many books on the Balkans where he studied Tito’s Yugoslavia with critical sympathy. He became Department Chair, and the main mover of the New York Socialist Scholars Conference, from 1983 to 2004, which in its heyday gathered everyone from the young Barack Obama to Noam Chomsky. He was vociferous about the perils of Serb Nationalism, supporting NATO intervention in Kosovo while decrying the abuse of airpower. He retired to his island of Brac in Croatia, where he fought tenaciously to maintain his right to abode as a Croatian Serb. As the storm clouds loomed over the Balkans he founded Transitions to Democracy, which trained lawyers and other advocates to return displaced victims–often very poor peasants–back into the homes from which they had been ethnically cleansed by one faction or another. He is survived by his daughter Maja Munk, who is working with refugees from Syria, but he is also survived by countless young people who were inspired by his life and politics.